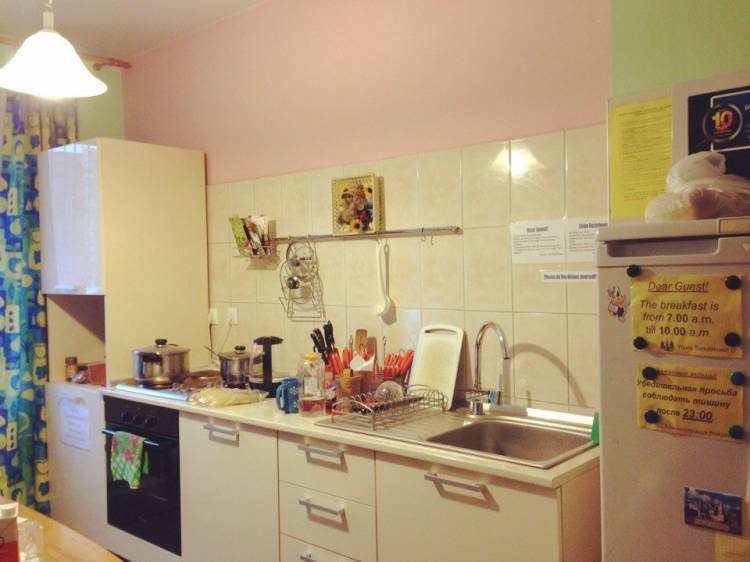 The Baikalhostel, result of a German-Russian partnership, is the first backpacker hostel in Irkutsk. The hostel opened in March 2003 in a cosy apartment close to the city centre and the Angara River. Our friendly staff will always be on hand to provide you with any information required or to help organize transport to Lake Baikal, Olchon and Sajan Mountains. The rooms are clean and comfortable with 2 or 5 beds, with shared bathroom and toilet facilities. There is a well equiped kitchen for self-caterers, free linen and blankets and free luggage storage. We also offer some one or more day adventure Tours to Lake Baikal and the Sayan Mountains, like Rafting tours on the Kitoy River, Cave Climbing ond so on. The Hostel is situated between the railway station and the dam at the River Angara. Get off at the bus and Marshrutka station Mikrochirurgia glaza, on the main street ulitza Lermontova. From there it's a 1-minute walk to the Hostel. The apartment is located on a new red brick five floor building near the stop. Look for the advertisement of the shop called "Tpouka". The Hostel is just behind the corner. The bell is outside.